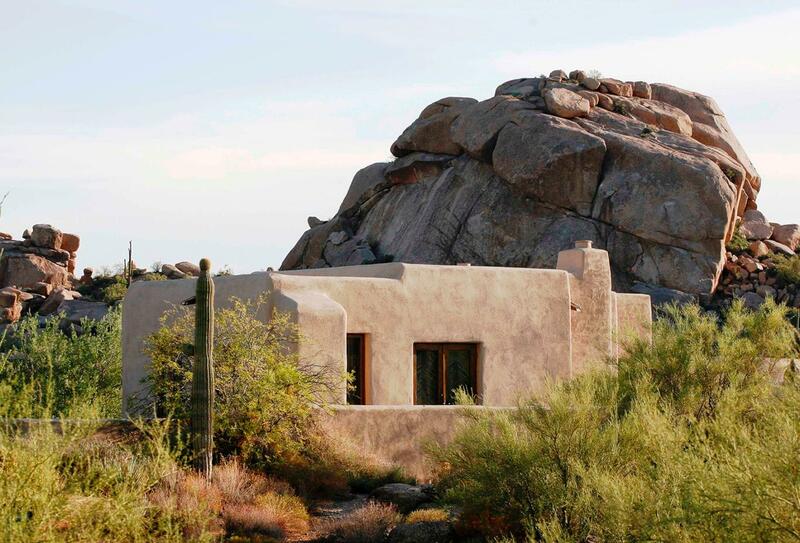 Escape to Boulders Resort & Spa, a secluded haven amid the natural splendour of desert sand, towering cacti and clear, blue sky. Situated on 1,300 acres of pristine Sonoran desert, this retreat inhabits a unique location just outside Scottsdale, Arizona. The award winning accommodation showcases a gorgeous spa and stunning natural beauty, creating a setting for an amazing getaway. You can enjoy a round of golf with a choice of two Jay Morrish designed courses and relax in casitas and villas expertly blended into the breath-taking landscape of ancient 12-million-year-old boulders. 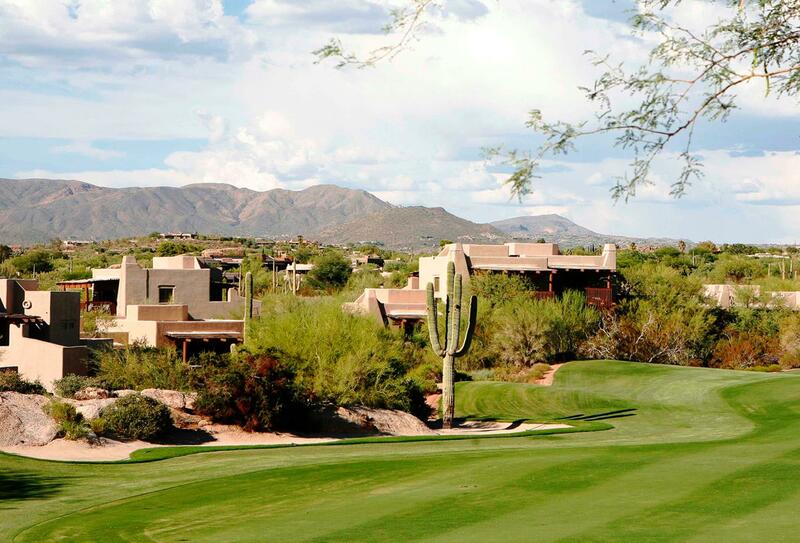 This top level resort has impeccable service and is in a secluded location yet still within easy reach or Scottsdale, offering all you need for a sunshine break or a golfing holiday. 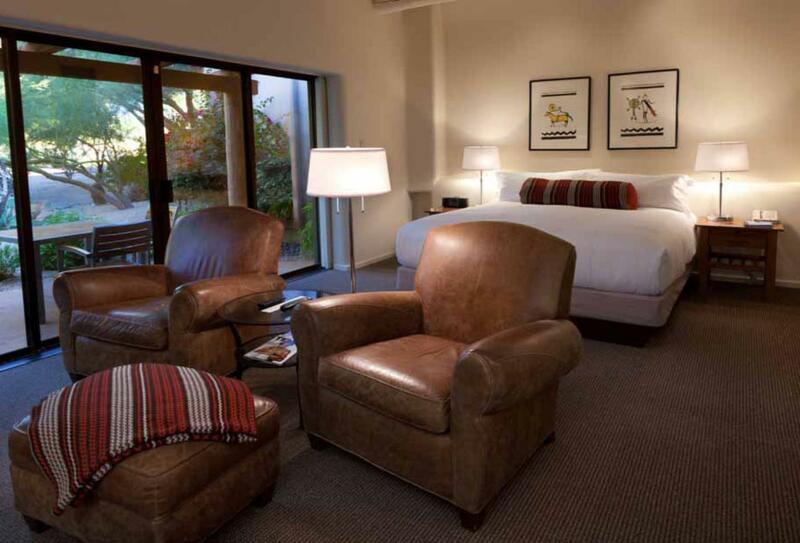 Hand-hewn wood-beamed ceilings with fans, regional art and artefacts, wet bars, large dressing and bathroom areas all with showers and soaking tubs, Mexican tiling, wood-burning fireplace and overstuffed leather chairs create a warm, contemporary Southwestern ambience inside these spacious adobe-style guestrooms. Standard resort casitas are located on the lower level of a two-storey unit and grouped in village-like clusters. These spacious guestrooms are located on the second floor or in single storey blocks so no rooms are above you. The Palo Verde serves a delectable breakfast ranging from freshly made pastries, seasonal organic fruits to personalised omelettes. Lunch and dinner offer an all-American line up with great burgers, amazing salads, sandwiches and delectable entrees. Located at the award-winning Boulders Golf Course in North Scottsdale, Bogey’s is a contemporary sports bar restaurant with sophisticated casual dining. 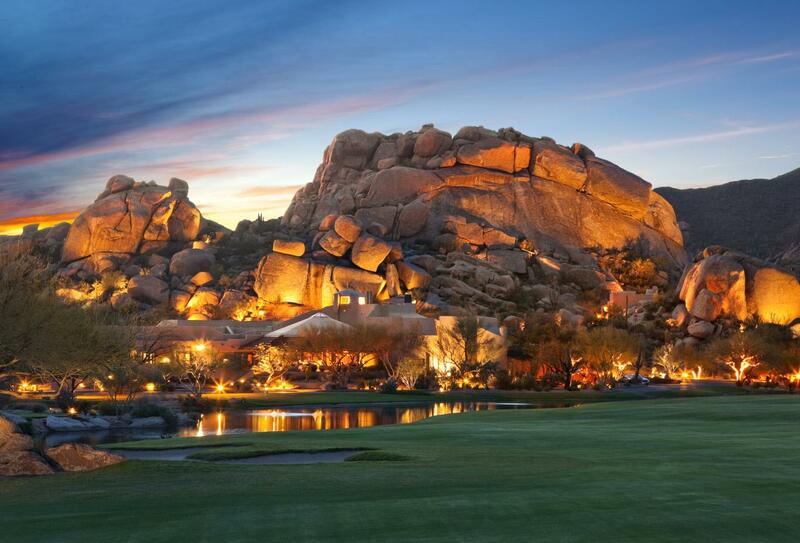 While a warmly inviting atmosphere for golfers, Bogey’s is a popular Scottsdale gathering spot for both sports enthusiasts and non-enthusiasts alike. Located at the Boulders Golf Club in North Scottsdale, The Grill features an exhibition kitchen and patio seating with grand views of the lush fairways and offers a wide variety of American cuisine. The Bakery Café is a charming bistro and bakery located at el Pedregal in North Scottsdale, just a short walk from the resort. This popular breakfast and lunch restaurant is inspired by classic patisseries and offers sandwiches on freshly baked breads, made-to-order salads, cookies and pastries. Renew, rejuvenate and rejoice at this Scottsdale Arizona restaurant cafe. Waldorf Astoria Spa Café features a menu advocating balance of life-giving and spirit-satisfying foods. Savour dishes designed to assist, repair, relax and help your body perform at its peak. 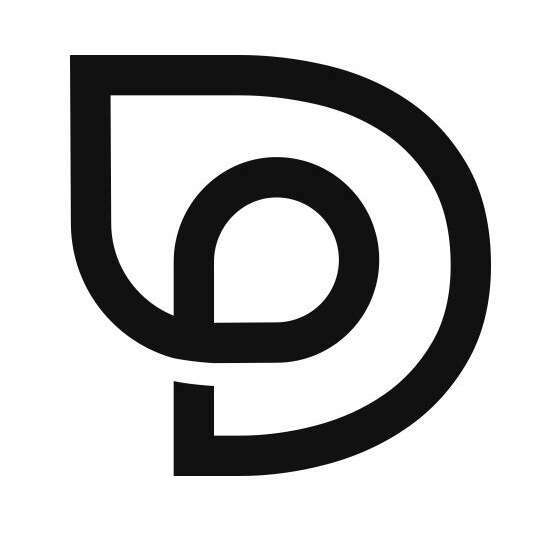 Spotted Donkey offers a fresh, fun, and casual dining experience that features the best in Southwest-Mexican cuisine in North Scottsdale. 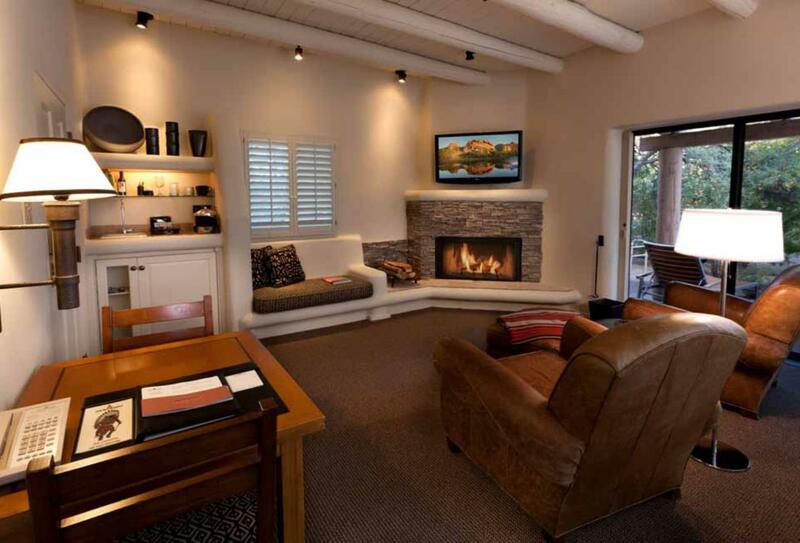 Witness breath-taking sunsets while sipping a favourite cocktail at the Discovery Lounge—a warm, inviting retreat featuring a glowing fireplace and comfortable couches. 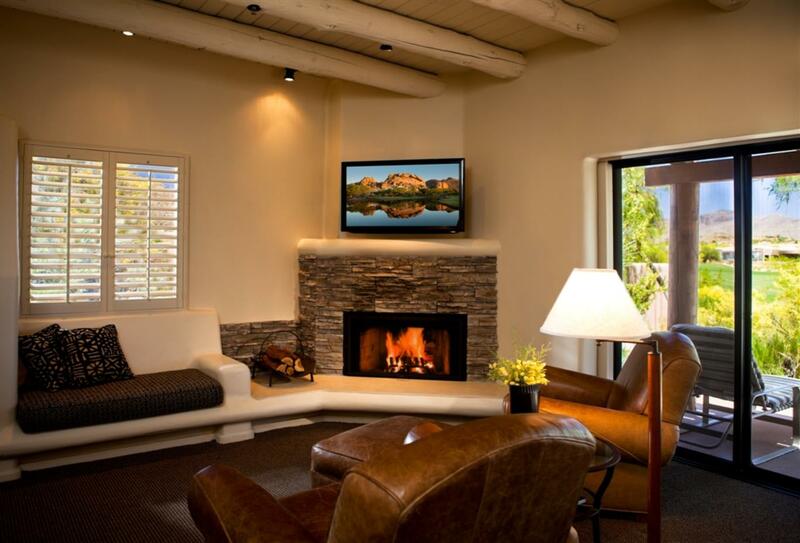 Boulders Resort & Spa is in North Scottsdale and the secluded area of Carefree, surrounded by Sonoran Desert yet only minutes away from the top class shopping and restaurants of Scottsdale. Phoenix Sky Harbor International Airport is also just 35 miles away.